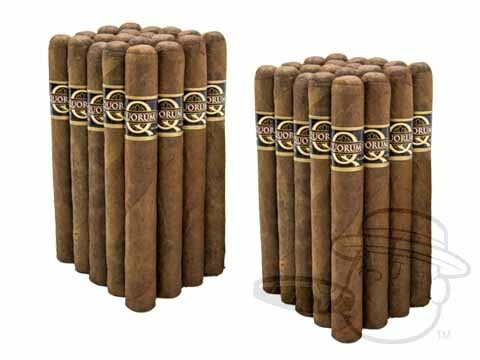 Quorum Corona Natural is a medium bodied smoke with smooth, woody, and nutty flavor in a traditional 5 1/2x43 Corona size. The sales are truly sales. They have some hard to find cigars. I smoke Quorums as my everyday smoke. The other places are about either out of stock or about 30% higher. That's why I recommend Best Cigar Prices to everyone I know. Best tasting cigar I had so far!!!! I've been buying these for several years now. It is a very good smoke. I like mild to medium so these fit the bill. The price is cheap enough that if I get interrupted I don't feel bad throwing it away. Very good everyday cigar. You can't beat the price. A good smoke. Not all are perfect but what you would expect for a buck each. Excellent value for the price. Good flavor. Construction okay but could be rolled a little tighter. A little soft. Quorum Corona Natural 2x Deal is rated 3.3 out of 5 based on 13 customer ratings.